Short-Term Side Effects for HIV Medications. The main aim of undergoing treatment for HIV is to fight the virus present in the body. While you need to do this in the most effective way, it is also necessary to minimize the side effects that are usually unpleasant and unhealthy. 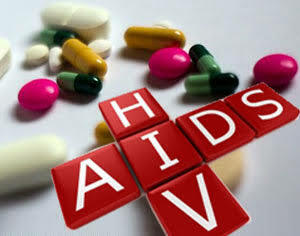 Side effects of HIV medicines vary from one individual to another; while in one person the symptoms could be severe, you may see it being quite mild in another. If you are undergoing a course of HIV treatment, it is best to consult your medical practitioner so that you can understand what you can expect and prepare for. There can be many reasons for you to be feeling unwell apart from HIV itself, such as other medical conditions, infections, depression, stress, age, diet, and other drugs that you may be concurrently taking. It is advisable to work with your caregiver to understand the reasons behind the symptoms so that you can try and make them less intrusive. Never change the dosage of your HIV medications as this may make treatment more difficult. When you commence taking a new antiretroviral medicine, you may experience some side effects, which may be bothersome for some time but usually get better with the passage of time. To stop feeling tired, it is best to avoid working too hard and try and take brief naps when you’re feeling tired. Take more balanced meals and undertake gentle exercises to enhance your energy levels. Get yourself tested for anemia that could be causing the fatigue. You can get all the medical supplies that you require by visiting the mybiosourse website. Keep a watch and avoid the foods that seem to trigger the queasiness. Never have large meals but stick to smaller ones that you can have more frequently. After waking up, have a few crackers or plain biscuits. Keep yourself hydrated and try to have small quantities of drinks containing ginger to settle your tummy. Avoid antacids unless approved by your doctor. Avoid spicy foods and drink lots of fluids to keep yourself hydrated. If the situation needs to be countered with anti-diarrhea medicines proceed only after asking your doctor. Headaches: The best thing is to apply a headache balm on your forehead and only have an OTC headache medicine if really required. Take plenty of rest, avoid bright lights and noise, and drink a lot of fluids to flush out the system. Do not consume too much coffee or tea and also avoid eating too close to your bedtime. It is best to stick to the sleeping schedule you are accustomed to and avoid the temptation to nap during the day because of the fear that you will be awake all night. Try a combination of a warm bath, warm milk, a massage, and even soothing music to relax you and bring on sleepiness. Make it a point to avoid bathing in hot water for long and skincare products containing bleaches, harsh chemicals, or excessive alcohol. Apply moisturizing lotions and sunscreen on areas that are feeling dry and itchy. Consult with your medical practitioner if your technique of administering injections is at fault. Do not inject in the same places to enable your skin to recover. Warm the medicine by cupping it in your palms and apply an ice pack to the injection site afterward. If the weight loss is significant consult your doctor or a dietician who can give advice how to change your diet to counter the loss of weight. Protein shakes and other protein-rich food supplements may be recommended. Many of the described symptoms may not have any relation to your HIV condition and the medicines that you may be taking for its treatment. However, if you have symptoms that make you uncomfortable or if they persist for more than a few days, it is best that you consult your doctor and follow his advice. Isabella Rossellinee is a senior medical practitioner who has considerable experience of treating patients with HIV. She recommends the website of mybiosource as a good source of obtaining test kits and essential medical supplies.